Home » Family Life » How Many Cups In a Quart FREE Printable for Easy Math! 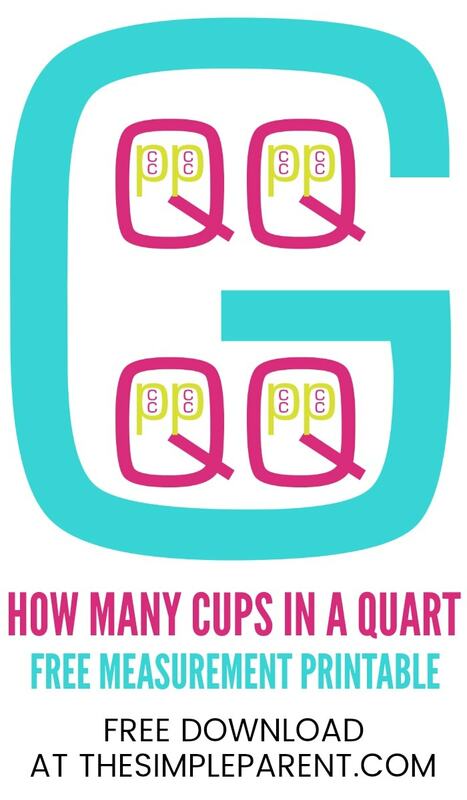 How Many Cups In a Quart FREE Printable for Easy Math! I know I should know the answer but when it comes to all of those conversions — cups in a quart, quarts in a gallon (okay this one I’m pretty good at because it’s called a quart), pints in a quart, and pints in a gallon — I’m pulling out my phone. They just never stuck with me, I guess. But then a teacher friend taught me a trick one year and it’s helped me with homework and when I’m in the kitchen! Yes, it took me into my adult years for it all to finally click and for me to remember how many cups are in a quart. She sketched out this quick sketch using letters to represent each unit of measurement. Then she drew them so it was so easy to figure out the conversions! Apparently, as a first-grade teacher, I hadn’t learned this trick. I just needed to move up a grade or two! 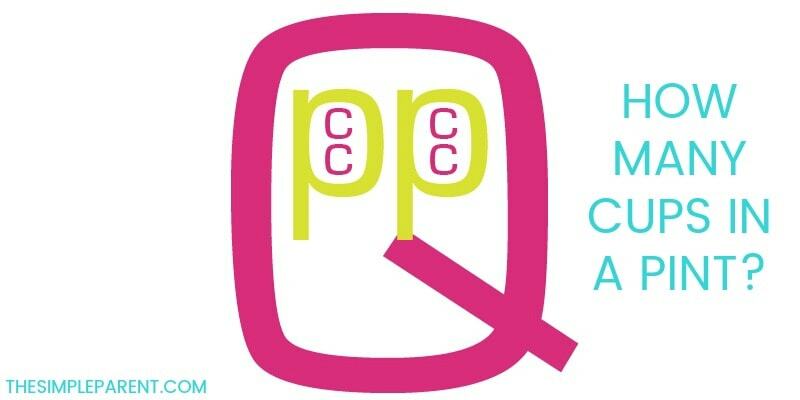 If you need the quick measurement conversion answers because you’re trying to help your kids with homework or whip up something delicious in the kitchen, here they are. If you can remember without needing a visual, 4 cups equal a quart. And if you want to go the other direction and know how to do 1 quart to cups you can use the chart below! 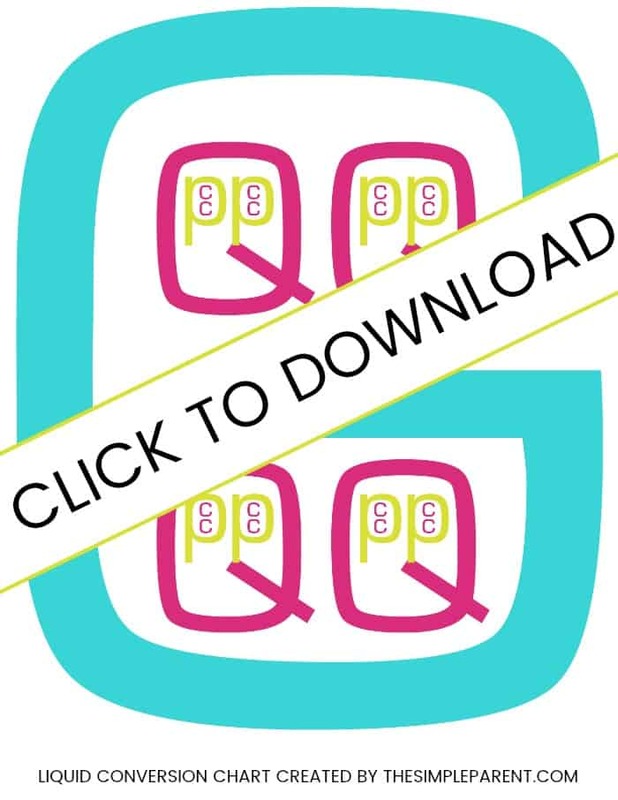 If you’re using our free printable how many cups equal a quart chart, then you can start with the smallest unit of measurement and get quick conversion answers. How Many Pints in Quart? The printable chart easily shows how many pints are in a quart! 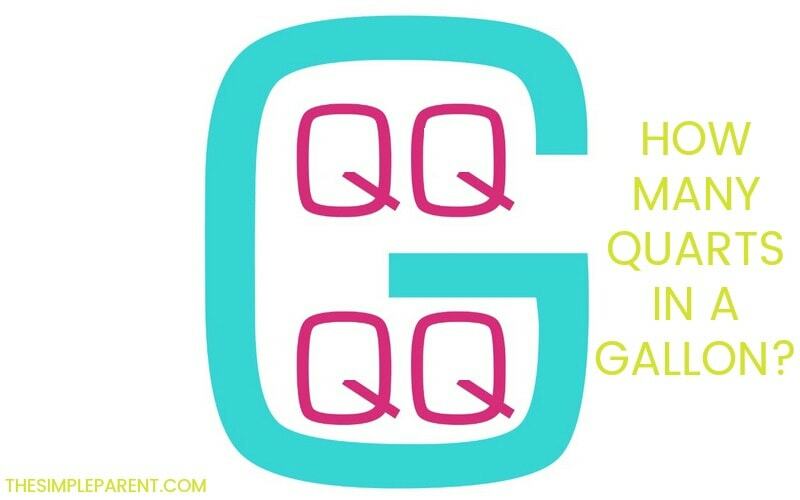 This one seems so easy to me now because quart is like quart so there are 4 quarts in a gallon. Then you can do more measurement conversions. Our cups in a quart chart makes it super easy to see visually. One you know how many cups are in one quart, it’s easy to figure out how many are in a gallon! Since there are 2 cups in a pint and 2 pints in a quart, there are 4 cups in a quart. There are 4 quarts in a gallon, so that means there are 16 cups in a gallon. If your head is still not wanting to let this information in, download our free cups in a quart printable now! CLICK HERE! Having a visual can help answer even more questions like, how many cups in 2 quarts? Just glance at the chart and you’ll be able to see that there are 8 cups in 2 quarts! Do 4 quarts to cups with the chart and you’ll have the answer in seconds! It’s 16 cups! As soon as you print it and hang it up in your study area or kitchen, you’ll understand! It’s a visual thing! Check out more of our FREE printables! Don’t forget to pin this post so you never lose you never have to wonder how many cups equal a quart again!